A touching story about a big, lonely creature living in the dark, longing for caregiving. One day, she meets a small spark of sunshine that has to leave her by the end of the day. 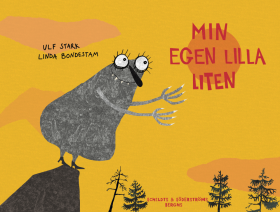 Illustrated by Linda Bondestam and written by Ulf Stark.